May I firstly introduce myself, my name is Karen Deeming. I am a leading expert in the: counselling, CBT, mindfulness and psychotherapy fields and have a strong track record of positive change affirmed by my clients. 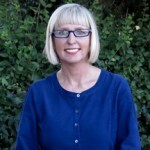 I am a Consultant, Psychotherapist and Mindfulness Teacher. I hold a UKCP accredited Advanced Diploma and Master’s Degree in Integrative Psychotherapy & Counselling from the UK’s leading Integrative Psychotherapy and Counselling Training Centre, the Minster Centre in London and post graduate certificates in Cognitive Behavioural Therapy (CBT), Mindfulness and Group Work. I bring creativity, energy and enthusiasm to my work with clients. Health and Well-Being are life-long passions and so my personal mission is to empower clients, like you, to achieve their full potential and to live a fully creative and joyful life. My cutting-edge, results orientated, evidence-based approaches are tailored to your individual needs and involve working creatively on cognitive, physical and emotional levels. I strongly believe that counselling and psychotherapy should be available to the whole of society regardless of wealth and social class status so alongside offering a few concessionary daytime slots at my Bristol Practice, I also operate a low-cost counselling service in Somerset. I have extensive experience in the personal development, mindfulness, pyschotherapy, CBT and counselling fields. Besides private counselling & psychotherapy practices in Hyde Park, Harley Street and East London, I have provided short term counselling services at “Mind” and have worked with a wide range of clients with complex needs in a variety of other settings including a multicultural centre for the homeless, rough sleepers, substance misusers and people with severe trauma. In addition to my private counselling & psychotherapy practices, I have provided consultancy services for a number of clients in the private and public sector and have delivered workshops, weekly Therapy and Peer Supervision Groups in numerous settings. One of my passions is to make counselling and psychotherapy accessible to the general public by tackling talking therapy myths and sharing psychological insights that support it. As a result, I sometimes speak about counselling, mindfulness or psychotherapy on BBC Radio Bristol, I was a Lecturer on a Counselling Diploma Course for a few years at a Bath Spa University Campus and have advised film Directors and scriptwriters on the authenticity of film narratives involving counselling & psychotherapy. For example, I worked with Film Director, Mike Leigh, on his film Another Year. More recently, I was a Counselling Professional at CPCAB, the largest specialist awarding body for counselling in the UK until June 2016. My corporate experience includes senior management and policy positions with an emphasis on diversity, the UK’s Social Inclusion and Poverty agenda, coaching, mentoring, health and well-being both domestically and internationally. 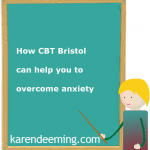 I am a member of Bristol’s CAPPP, a networking organisation for counsellors and psychotherapists in private practice in the South West. I have undertaken over fifteen years of personal development work, which I consider to be an essential part of my training. I am committed to continuously looking at how I can increase, deepen and expand my skills and knowledge. This includes regularly attending professional training workshops, conferences and seminars. 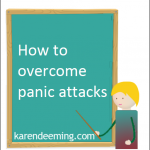 I am UKCP accredited, and am BACP and Counselling Directory approved.